“As parents, we also wanted to see what our son would look like as an adult." A sick little boy’s fourth birthday was turned into a touching symbolic wedding as his parents fear he won’t live long enough for them to see him wed. The Chinese boy, Bao Zizi (4), affectionately known as Bao, was diagnosed with aggressive lymphoblastic leukaemia, a type of bone cancer, when he was only 18 months old. 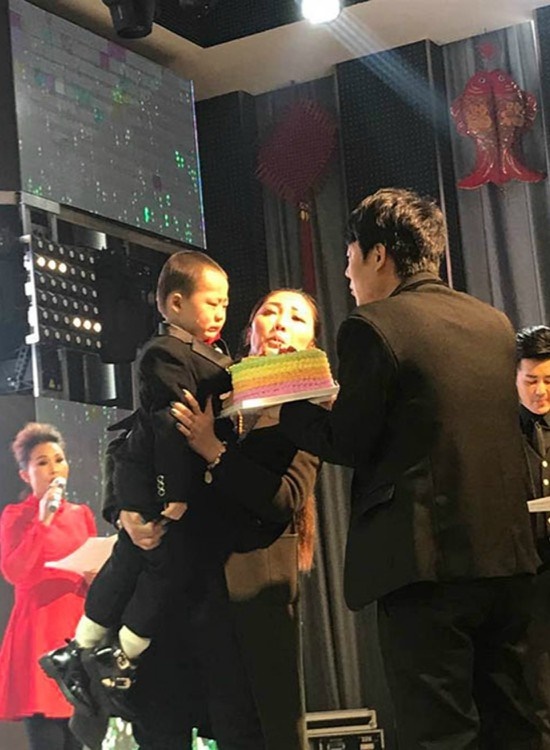 His father, Bao Zhangguo, and mother, Li Liping, say they aren’t giving up on their little boy – but his condition means that there’s a very slim chance that he’ll see adulthood. So for his fourth birthday, his father had his mom dress up as Bao Bao’s symbolic wife in a wedding they themed “20 years into the future”. 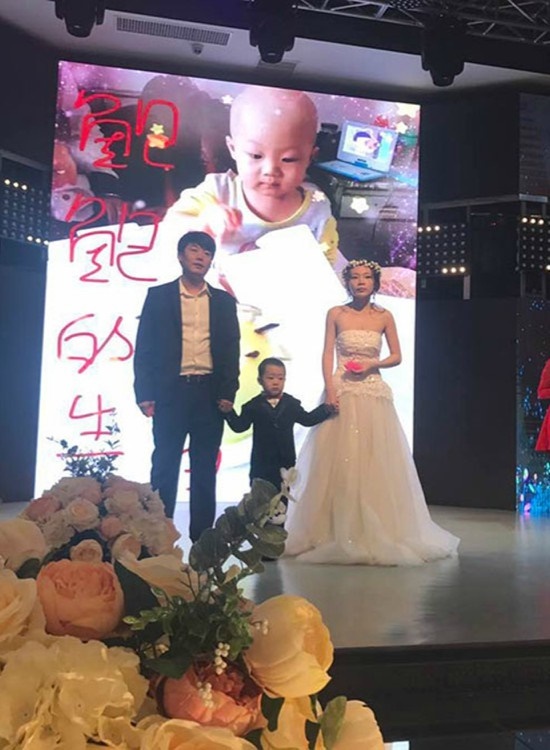 Touching pictures show how the little boy’s mom stands on the stage in a beautiful white wedding gown. “Bao Bao thinks his mother is the most beautiful woman in the world. He even fights me for her. The boy said he wanted to be with his mum forever,” dad Zhangguo says. 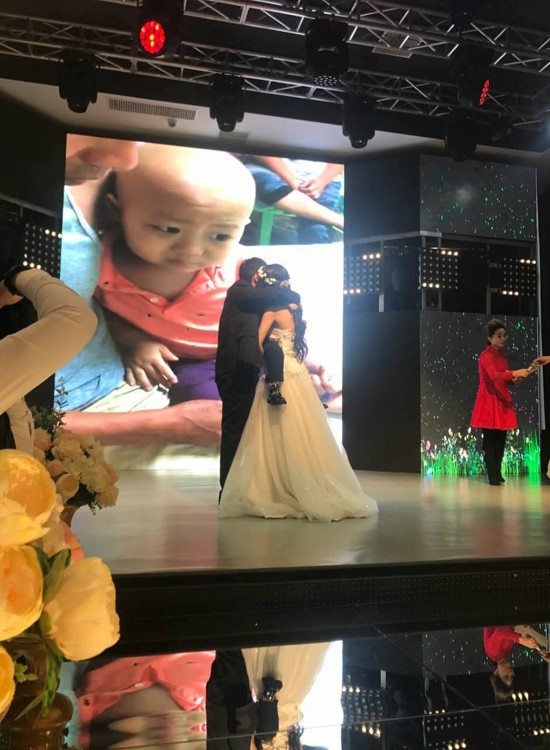 The heart-breaking images from the wedding show the trio hugging each other on stage while dozens of their friends and family members look on. “As parents, we also wanted to see what our son would look like as an adult, walking into his wedding venue,” Zhangguo says.